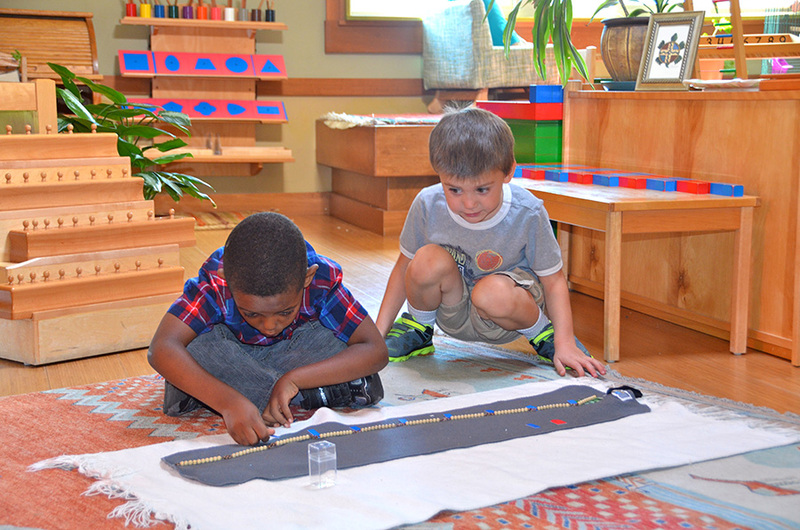 The Montessori Partners Serving All Children initiative is unique in its approach to school and social reform. The Montessori Center of Minnesota supports the capacity of the communities most impacted by low-performing schools to lead change for quality of education within their own community. This represents a major strength of the initiative, igniting profound passion in community leaders to bring opportunities to their children and overcome years of social inequities. Each organization is as unique as the communities they represent, with varied expertise, goals, and community needs. Over 100 years ago the Montessori approach to helping children learn, develop, and grow proved incredibly successful with low-income children in Italy. 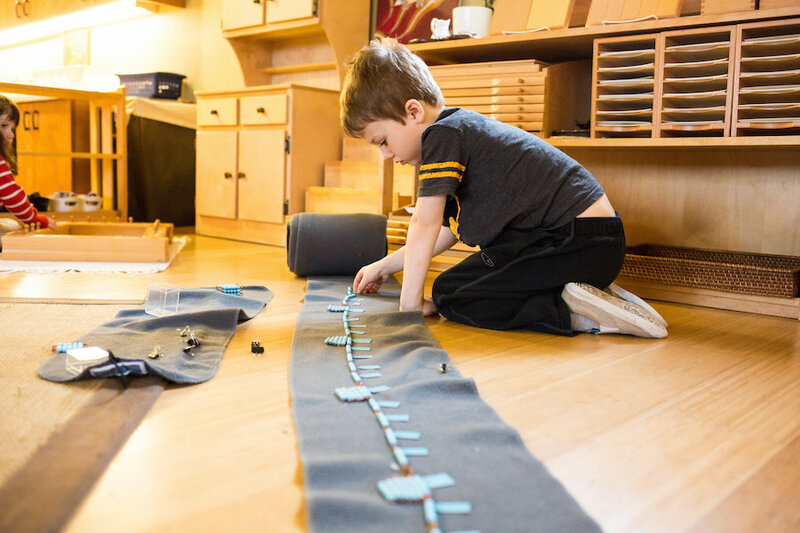 Today, Montessori early childhood education across the U.S. and in Minnesota is most often associated with children from affluent families and private schools. The Montessori Center of Minnesota and it’s Montessori Partners Serving All Children outreach initiative actively advocate for providing quality early childhood development experiences in the Montessori approach to underserved children and families. The Montessori approach is being more widely accepted in public school systems, as evidenced by many districts across the United States having adopted Montessori in magnet schools and charter Montessori schools opening across the country. Montessori Partners Serving All Children is demonstrating how the Montessori approach, starting with the early years, can be viable, effective, culturally responsive, and accessible for all Minnesota children, including those from culturally rooted families and communities who have been traditionally underserved. Expanding the access of all children to community-led Montessori education is an important contributor to their school success and to eliminating educational disparities. One criterion for accepting affiliates into the collaborative is serving a population that includes at least 60% of the children living in families earning less than 185% of Federal Poverty Guidelines. We are confident we will continue to see the already established trend of high educational outcomes for these children. With seven programmes currently operational, and several more in the development phase, we expect to reach our goal of 10 programmes in the next three years. In our work with the young child, we always dwell in the possibility. Conscious evaluation of results is essential to our work at the Montessori Center of Minnesota and we now have data to show that the possibility can be a reality. In 2012, we commissioned a three-year evaluation of then four MPSAC affiliate partners. In all three years, data showed no statistically significant disparities related to ethnicity, socioeconomic status, or language spoken in the home, with children performing mostly in the average and above average range. During 2014-2015, we saw a statistically significant growth in African American children’s proficiency in mathematical thinking over the course of that school year, with an improvement from 60% of children scoring proficient in the fall to 93% scoring proficient in the spring. Read our full evaluation report here. One of the most important outcomes of our program evaluation is validation of the social justice mission of this work. Program evaluation evidence has borne out that the Montessori approach works for all children, regardless of culture or socioeconomic status. Our work has provided a foundation upon which others may build similar work around the United States and the world. We are a recognized AMI EsF project. We contribute to the efforts of Access Montessori (accessmontessori.org) to increase access to the benefits of Montessori education and family support services to our most vulnerable children. We are a focus of the Following the Family study, which examines the process of how high-quality Montessori education and attention to the entire family can serve to ameliorate the social and education effects of poverty. Finally, we are a “chapter” in the full-length documentary film, Building the Pink Tower, which reimagines school through the lens of the possibilities of Montessori. Our pilot programme, Cornerstone Montessori School, is an exemplary early childhood program fully recognized by AMI and with the highest possible rating from Parent Aware, our state’s quality rating improvement system. 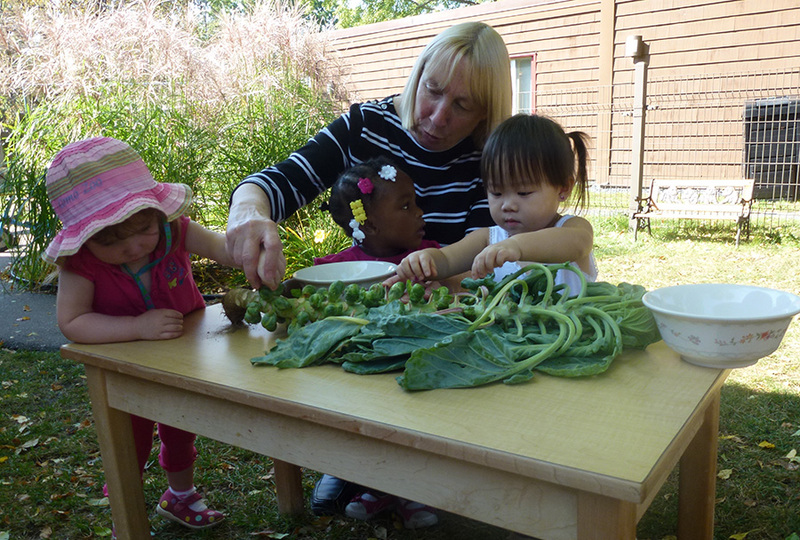 Cornerstone serves an economically and culturally diverse community in east St. Paul, housed on the campus of the Montessori Center of Minnesota. Providing Montessori All Day / All year, we are committed to reserving at least 60% of our enrollment for underserved families. As the oldest and largest multi-service Latino organization in Minneapolis, Centro Tyrone Guzman is a trusted leader and partner, serving more than 7,000 individuals annually. Serving the youngest of the Latino community, Siembra Montessori Children’s House is a licensed and nationally accredited dual language learning center, supporting children as they explore the world, grow, and learn in both English and Spanish. Children learn year-round in a culturally responsive Montessori environment that encourages them to become independent, engaged learners. Siembra is an AMI recognized programme and enjoys a four-star Parent Aware rating. The Shakopee Mdewakanton Sioux Community (SMSC) is a federally recognized, sovereign Indian nation of Mdewakanton Dakota people who have inhabited this region for centuries. Mdewakanton means “town of Sacred (wakan) Lake (mde)”. Educational disparities are great for our indigenous people, and SMSC has partnered with us to establish their Children’s House to ensure a better start for their youngest, leading to better educational outcomes and secondary school graduation rates for their youth. The Family Place, located in St. Paul, is a day center for families living without a permanent home. The Family Place assists families in shelter to gain more confidence in building future goals that will lead to success of the entire family. Traditionally serving approximately 1,00 people each year, The Family Place is the only day shelter for families with children in Ramsey County, MN. The prepared environment of Casa de la Bella is truly an oasis for children living in crisis. A fully licensed programme, it becomes a thread of consistency for families as the children can return even after a parent gains employment and more stable housing. MAICC’s mission is to address the early childhood needs and the academic achievement gap of American Indian children through revitalization of their native language and culture. 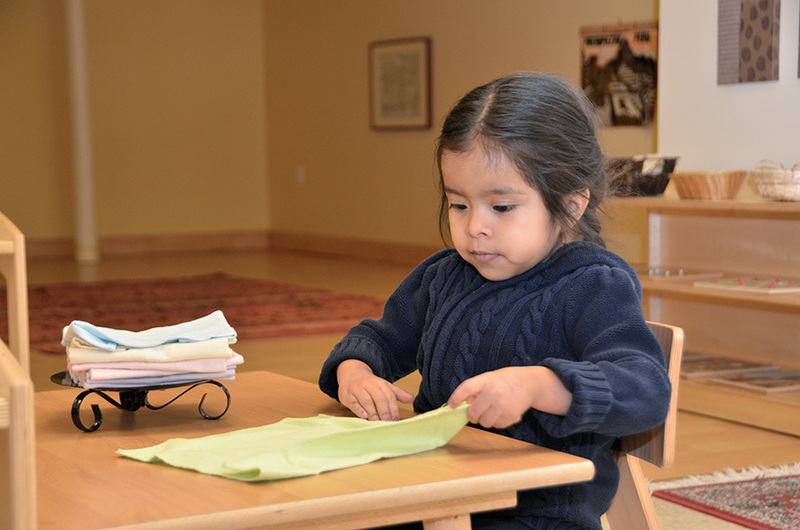 Staffed by indigenous people, their Children’s House of all indigenous children provides the opportunity to experience their language and culture within the rich setting of a Montessori prepared environment. MAICC holds AMI affiliation and a four-star Parent Aware rating. Hmong American Partnership (HAP) is the largest Hmong organization in Minnesota. Based in St. Paul, HAP provides Hmong and other refugee communities with services and support to help them adjust to life in the United States and to maximize available opportunities. Since its inception in 1990, Hmong American Partnership has steadily grown from offering just a few programs focused on providing refugee resettlement services, to several hundred persons, to becoming a full-fledged social service agency with programs serving several thousand community members each year. Hmoob Toj Siab Children’s House is a bilingual program serving members of the local Hmong community, most receiving full scholarships through a variety of sources of aid. The rich Montessori environment provides the opportunity for cultural and language support so that children can adjust to living in the United States without losing the richness of their own culture and language. Hmoob Toj Siab enjoys AMI affiliation and a four-star Parent Aware rating. Bright Water Montessori is a tuition-based preschool programme serving children 16 months to age 5. Bright Water Elementary is a free, public charter school serving children kindergarten through grade six. 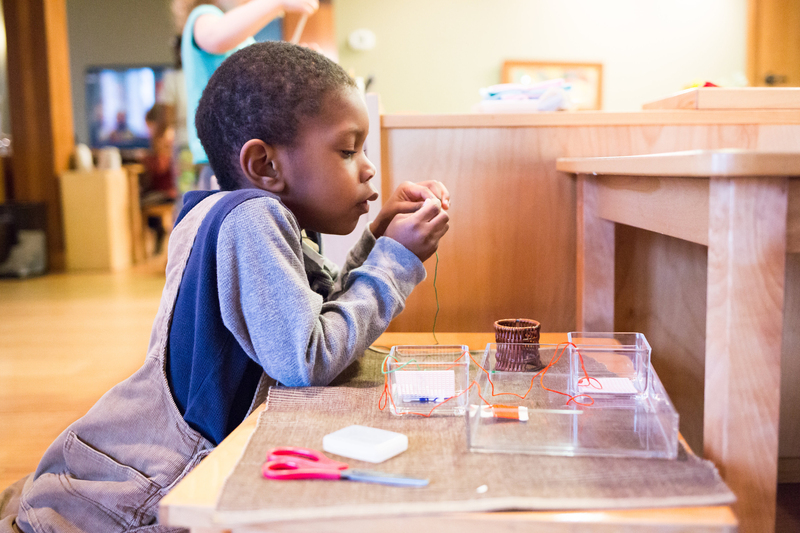 The campus serves a diverse Montessori community in North Minneapolis. Donors help to sustain the preschool scholarship fund, which helps the school to maintain affordable tuition rates. Bright Water is AMI recognized and has a four-star Parent Aware rating.